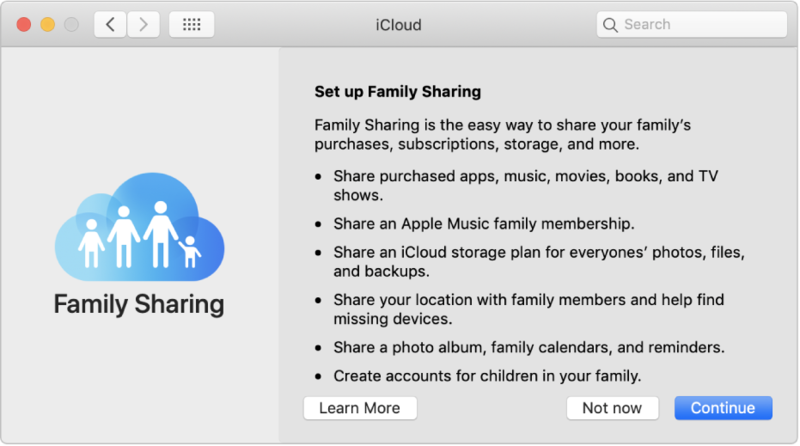 With Family Sharing, your family members can share purchases from iTunes, Apple Books, and the Mac App Store—and even a family subscription to Apple Music. You can also share a single iCloud storage plan, and keep up to date with a shared photo album, calendar, and reminders. Whether they’re at band practice, at a friend’s house, or walking the dog, you can rest easy knowing where your kids are. 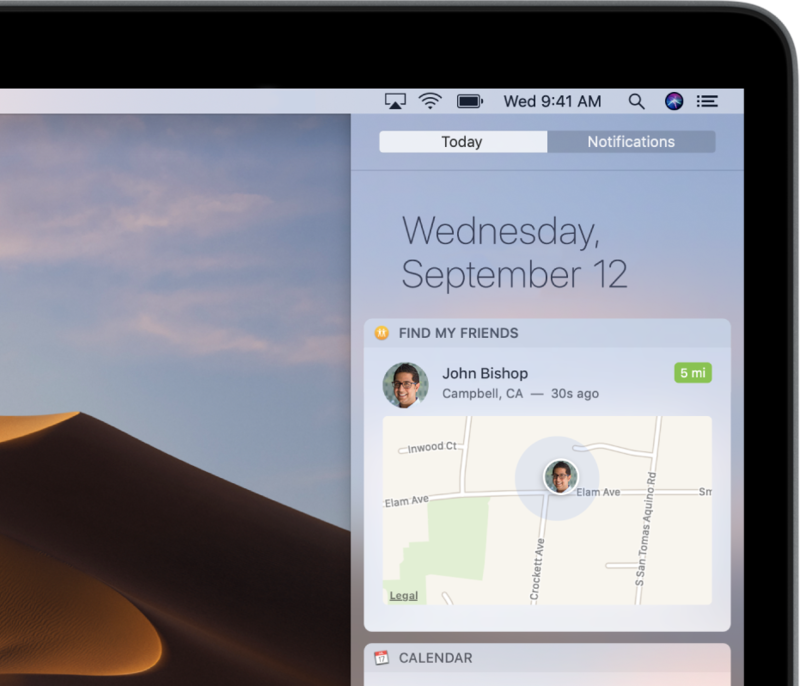 When your family uses Find My Friends, you can see each other’s location on a map right from Notification Center. 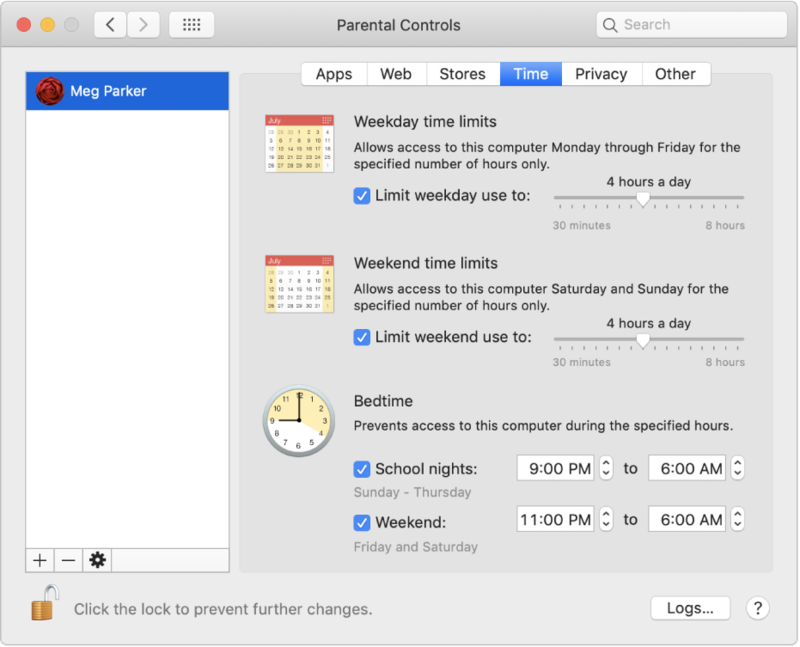 Your Mac includes parental controls to help you make sure your kids have a safe and happy experience on the Mac. You can manage and monitor the time they spend on the Mac, the websites they visit, and the apps they use. 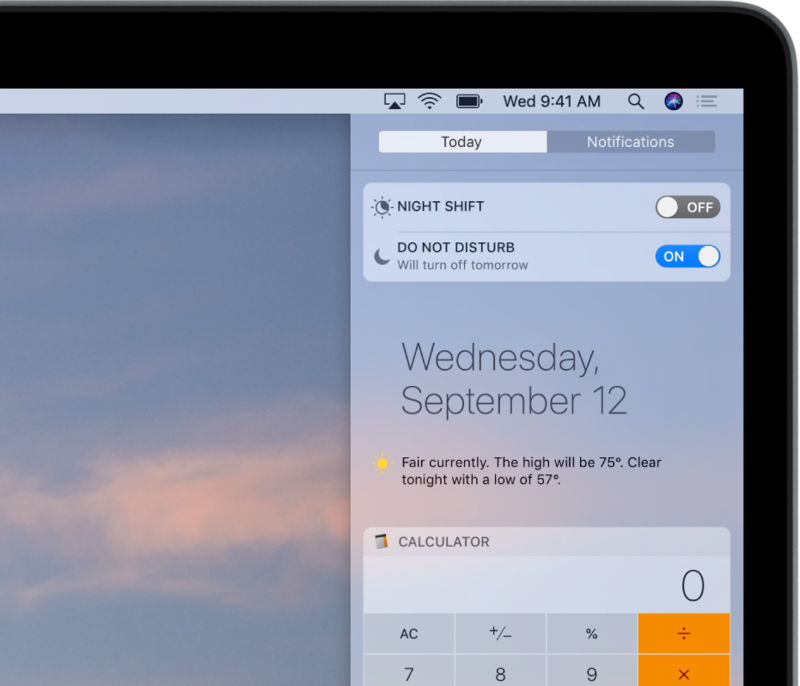 When you need a little downtime, you can use Do Not Disturb to silence distracting notifications from emails, texts, or calls. At last, the kids can do their homework—or you can stream that movie—uninterrupted.